What better way can we tell you what we do than have our previous clients do it for us! We settle for nothing less than a satisfied client. 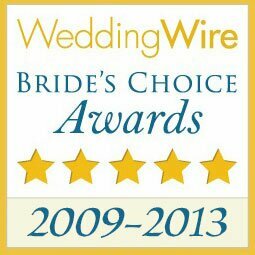 Read some of what our clients are saying about Boston’s Wedding Entertainment. Of all of my vendors, Gary was my favorite! I can’t say enough good things about him. Gary was amazing to work with. Although our wedding was a mere 2 weeks ago and we just got back from our honeymoon, we have already spoken with friends who say they have never ever been to a wedding where they had so much fun and danced so much! We have already received emails from guests who have said that although they attend 4-5 weddings a year, this was by far the most fun because of the dancing. My husband and I envisioned a great party with a full dance floor and that’s just what Gary delivered. He knew what type of song to play based on who was on the dance floor and took requests when appropriate. Not only was Gary in control of the momentum of the evening, but also he took it upon himself to “rescue” us from the photographer as he took the timeline very seriously… He was completely in tune with what we wanted, asking all of the right questions, and making sure in our meetings prior to the wedding that we both had all of the information we both needed. He was amazing! Gary was very easy to talk to, get responses from, and to get along with. On the wedding day, he arrived an hour and a half before the ceremony started; looked professional, double-checked pronunciation of our “hard to say correctly” names, and really kept everyone on track with the schedule. A couple of times, he even came and rescued me from everyone who kept stopping me to talk, so that we could stay on time. He was wonderful!!! Highly Highly recommend Boston’s Wedding Entertainment!!! Boston’s Wedding Entertainment was awesome! Gary was really is a huge part of what made our wedding reception so fantastic. My husband and I decided from the start that we wanted a fun wedding reception where people would have a blast and could relax. We decided the key to this was finding a great DJ who was experienced but not cheesy. We felt confident in Gary from the start because he met with us to discuss his style as a DJ and share with us his expertise. We were so impressed because he was professional and very knowledgeable, but not at all pushy or overbearing. We could tell he had experience as a DJ and knew the things that can kill a wedding, and the things that kept the party going strong. My husband and I and our families have very different tastes in music, but Gary was able to meet the challenge and accommodated all of our music requests. He also made sure that all of our guests knew ahead of time when the major events were coming up during the night (i.e., cake cutting, bouquet toss, etc) so that everyone had a chance to see and take photos, and nobody missed anything. Gary also had lots of great suggestions for things to keep the party running smoothly. Also, one of my favorite things about using Boston’s Wedding Entertainment was the website. He allow us to hand pick “must play”, “play if possible” and “do not play” songs for the entire night, and also note any special requests (in addition to of course picking all the songs for the first dance, cake cutting, etc). It was great because he allowed us plenty of flexibility to go back and make changes whenever we needed to. Boston’s Wedding Entertainment is fantastic! You only have one wedding, why not make your reception a fun, memorable one. For us, a great DJ service was the key to achieving this, and Gary definitely came through. Very, very highly recommended! Boston’s Wedding Entertainment, Gary & Joe, were professional and a delight to work with every step of the way. It was told to us that the DJ and the music can make or break a wedding, and in our case, Gary and Joe made our wedding. Gary was always accessible when I had questions or Ideas, and he did not hesitate to offer up his experience and opinion. He was on time and prepared for all appointments and to the reception. Wonderful music was not the only thing that Joe contributed to our wedding, though he certainly kept the dance floor hopping all evening. Gary’s introduction was the highlight of the entire evening. It took us a moment to answer his questions, but it was wonderfully touching way that he included our guests in the story of our romance. It was a wonderful feeling to know that our reception was in good hands and would go off without a hitch. We received dozens of compliments during and after the reception regarding Gary’s performance. 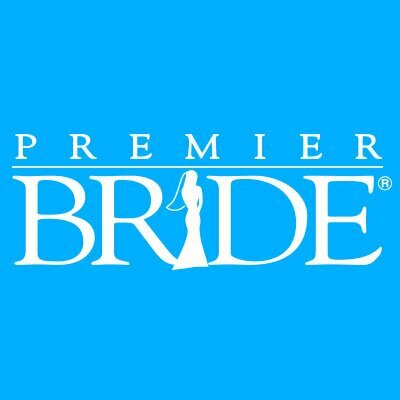 We have nothing but the highest praise for Boston’s Wedding Entertainment and we are satisfied in every way that we received the greatest value for our investment! Oh my LORD what can I say! How can I put this, Book Them!!! Gary and Joe were fabulous! Gary worked with us so closely as to what we wanted and what we were looking for. So much planning went into it was crazy (most of that was my fault I was so worried) Come our wedding day, I had nothing to worry about. Gary mc’ed for us and throughout the night we kept getting compliments on him. He kept the party going. Never in a million years would I have requested some of the songs that Joe played and we loved them all. I listened and watched how my guests reacted to certain music. Joe played to the crowd. We had a wide range of ages at the wedding from 22 to 80 something. The dance floor always had people on it. It was amazing and both of them were amazing!!! It is very easy to get off track and keep the flow going. We didn’t have an event planner, so Gary stepped in and took care of that for us as far as the reception went. He also did our music for the ceremony and it went perfect. This can go on for hours and days with how happy I was and how worth it they were. Book them and don’t think twice you’ll never regret it!!! Boston’s Wedding Entertainment did an incredible job for us. From the time I first inquired about their services until I left my reception, they were so great to work with. It’s not just about providing a great service the day of but it’s also about being great to work with before your wedding, too. I liked Gary’s honesty and also how polite he was about everything I asked. I also liked that I got a phone “interview” with my actual DJ. He was absolutely brilliant and made our wedding reception a HUGE success. Working with him in the time leading up to the wedding was SUCH a pleasure. My husband and I would leave his office with dopey smiles on our faces, saying, “Gary is SO AWESOME!” We could tell he really knew his stuff and had great taste in music. Plus, he was just a fun, laid-back, super nice guy. At the reception, Gary did such an amazing job reading our crowd and keeping people on their feet all night. People told us afterward that it was so refreshing to see a bride and groom dance so much at their own reception. We could tell he had really listened to us, because he indulged our musical requests. My cousin, who literally has NEVER danced — EVER — was sweating through his maroon shirt because he was on his feet all night. But most importantly, we appreciated that we didn’t NEED to give Gary too many requests because we completely trusted him to play great music.. and he really did. People are still talking about how awesome it was that he played House of Pain’s “Jump Around.” (I never imagined I would find myself jumping up and down in a wedding gown and heels with one arm straight up in the air.) He played so many great ‘80s tunes (Michael Jackson, Billy Idol). And everyone went absolutely NUTS when he played Chumbawumba. Needless to say, he did not play any of the same tired tunes you hear at every other wedding. Gary truly is amazing. He is NOT cheesy, he won’t shout into the microphone throughout your entire reception, he won’t do conga lines or cheesy light shows. Plus, he is just really fun to have around. I highly, highly recommend him as a wedding DJ! I was thrilled! Anyone reading this who is looking for a wedding DJ will want to strongly consider meeting with Boston’s Wedding Entertainment. They are FANTASTIC! Gary did an amazing job at making our wedding a complete success! Everything ran smoothly and was timed perfectly. He even worked with our wedding officiate to make sure our ceremony was covered with sound and microphone. I would strongly recommend them to anyone. As a bride I had tons of things to stress about and my D.J was NOT one of them! We were in contact via phone or by email all the time. He was very good at keeping communication open and made me feel like I was always a top priority. Everyone who attended was very impressed with Gary’s professionalism and attention to detail. Gary was very organized with our timelines and making our evening flow and come together. We did not have to do anything but enjoy our special day with great food, drinks, family, and friends. Gary & Joe made our ceremony and reception planning before our wedding day so easy and smooth. You are both very professional and very knowledgeable at what you do. We wanted to thank Gary & Joe for the awesome job they did for our wedding. We loved the music and so did our guest. We would recommend you in a heartbeat! Thank you, Thank you! Thank you! If Gary was not only a great DJ at our wedding he was the perfect MC, coordinating with ALL our venders to make sure our reception flowed well. I had never realized how important that aspect of his role was until that night. The staff at our venue had quite a bit of experience with weddings but Gary’s expertise was priceless. Gary took the time to meet with us before hand and really personalize our night, looking into our styles and ideas for how we’d like the night to flow. I was worried that the order of most wedding receptions is usually very predictable and sometimes boring for those guests outside of the wedding party but Gary made sure nothing about our night was generic. He knew how to read the crowd and adjust the night accordingly, keeping the guests just as involved and interested as the bride and groom. In fact, he did such an excellent job at keeping our guests entertained that no one wanted to leave. He still had a large percentage of our guests up dancing until 1 AM, 6 hours after the dinner first started! This was very impressive for me because I had worried how well our families would mix me being Hispanic and my husband being Greek but Gary did a great job of integrating and balancing our families needs and music likes. There was no song he didn’t have, even the Mexican songs requests my family thrown at him on the spot during the reception. Definitely would recommend him to all my friends and family as the best DJ services around. Thank you so much for being there for me! I love Boston’s Wedding Entertainment! Gary is the best. He combines professionalism, calmness, exceptional quality and a laid back attitude. I am recommending him to every bride. Before we were given Gary’s name by our event coordinator, we had talked to DJ’s and they were bad mouthing each other, keeping me on the phone for 30+ minutes, trying to sell us lights and lasers. My fiancé and I were getting very nervous that we were going to have to settle…then came Gary. Gary’s name came highly recommended from our event planner and she gave us Gary’s number upon hearing we needed a DJ for our wedding. He contacted me that evening to save the day. 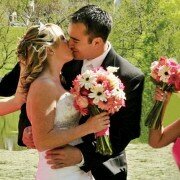 He has a great website that is very helpful to plan the wedding event and easy to navigate. Gary goes above and beyond. When we had our sit down with him, he had remembered the names of our wedding party and gave great recommendations on the flow of the events. He made us feel that this event was as special and as important to him as it was to us. He was not pushy at all and at the end of our first meeting my fiancé and I could not stop talking how excited we were to use him. Gary was very responsive about any questions I had for him and would get back to me within the day or he would answer the call himself. That’s right ladies; he actually answers his phone! The day of the wedding Gary was great and had great timing of the events. Joe, his partner, played great music during the right times, we had a consistently packed dance floor, and gave the wedding a great flow. I wish you both the best. Please use me for a recommendation…you’re definitely the best DJ’s in Boston…no contest! I would give you raving recommendations to anyone for any event! We highly recommend Boston’s Wedding Entertainment!